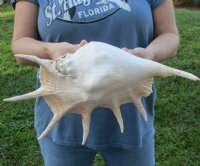 One nice giant spider conch, a large decorative shell, with natural imperfections, measuring approximately 14 inches long. Small holes on back. - review photos. Hand picked out of our large inventory of wholesale spider conch shells. 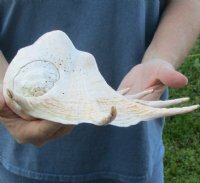 Spider conch shells are referred to as Seba's Spider Conch, Lambis truncata, and are found in the Pacific and Red Sea in shallow water. 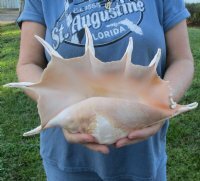 Giant spider conchs are tan shells with a peach color interior and are large decorative seashells used in coastal home decorating and seashell decor. You are buying the giant spider shell pictured. 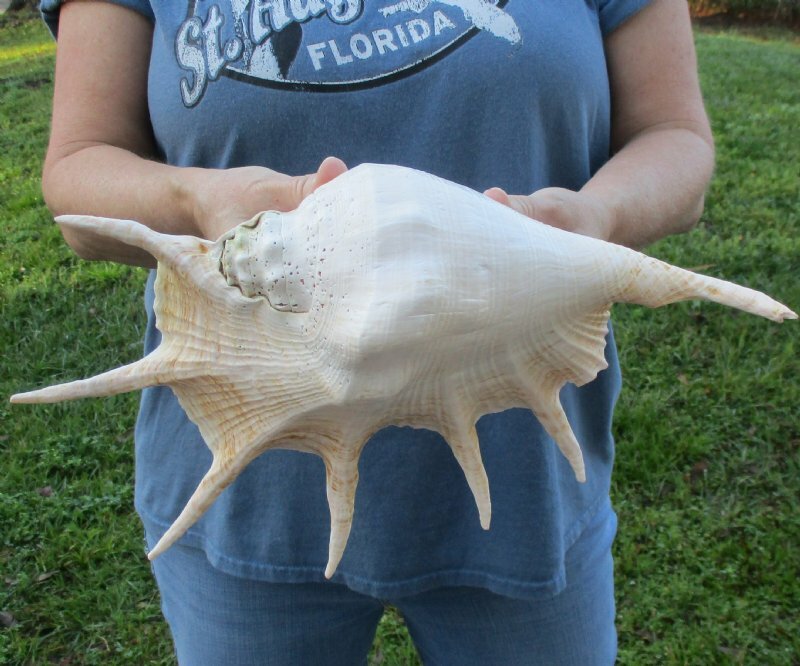 These are nice commercial grade shells hand picked out of our stock of giant spider conchs. These shells will have natural imperfections from living in the oceans and aging. 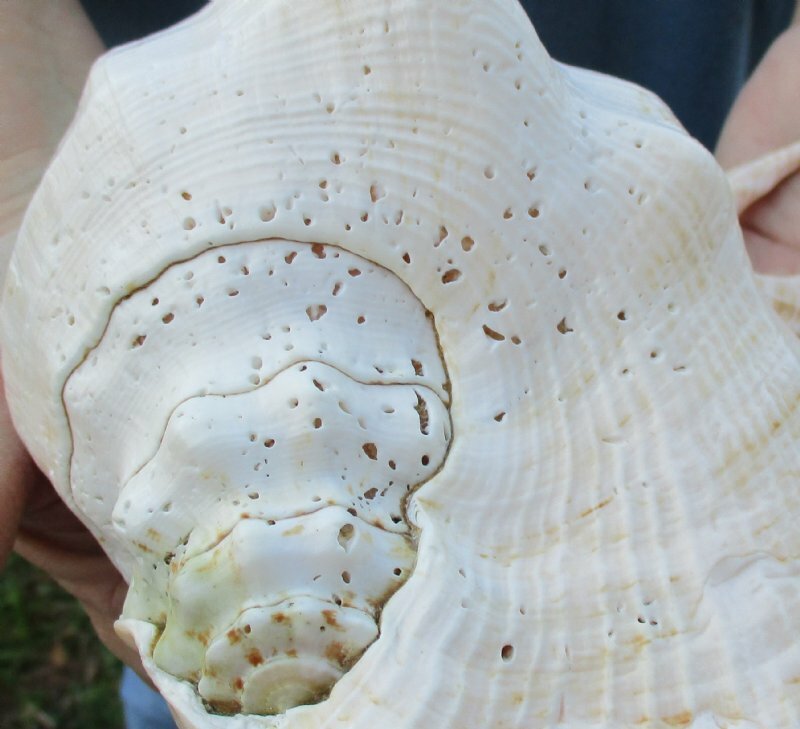 They are not specimen grade.